Every smartphone charger gives out different amount of current. For example, your car adapter probably charges your phone a lot slower than that you use at your home, and even wireless charging is also slower.Reasons can be many like, due to a faulty or worn cable, or a defective AC adapter. So, if in case where you want to find the root cause of such issues, you must do a lot of guesswork which is quite difficult. 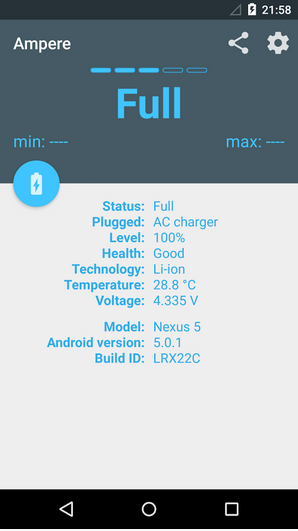 But to make that easy, developer Braintrapp created an Android app that will allow you to see the exact amount of current that a given charger is pumping out (in Amphere). So by using this app you can easily determine which of your chargers or cables is no longer up to the mark. This app is compatible with devices running Android Lollipop only. 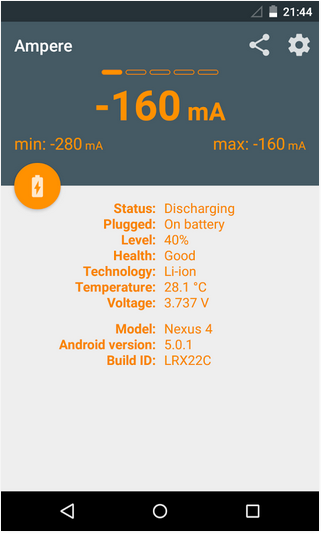 If your device is running on Android Lollipop, then head to the Google Play Store and search for Ampere. Alternatively, you can use this link. 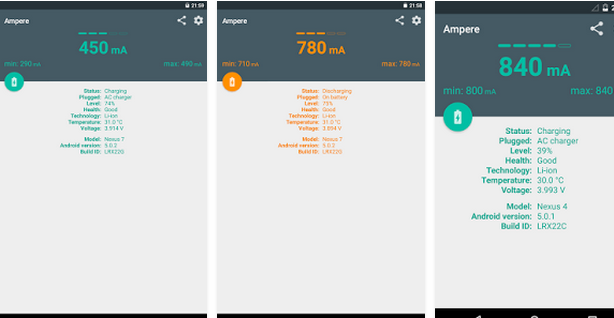 When you launch Ampere for the first time, the app will perform a calibration that takes normally 5 to 10 seconds. Please allow this initial test to run without connecting your phone to a charger, then you’ll see the current battery draw for your device displayed as negative amperage. Take note of this number, because the rate at which your phone is drawing current isn’t factored into the measurements you’ll receive when testing your charger. To test one of your chargers, start by finding its listed amperage. Most will have this number displayed on the AC adapter, and Qi chargers will have this information on the back of the receiver. Find listed ampherage of your charger which you can find on AC Adapter and compare this number to the measurement that you receive from Ampere when you connect your charger. For example, if the initial test displayed a discharge rate of -150 mA, add 150 mA to the measurement you receive for your charger and compare the total to your charger’s listed output. Fluctuation of ~100 mA is to be expected, but anything past that could mean you have a faulty charger or cable. If an AC adapter seems to be putting out a lower than listed amperage, try using a different USB cable. These are the most common cause of slow charging, and they’re the cheapest part to replace.